To some happy couples, having children at weddings is a must. To others, it is a whole different ballgame. The question is – should you invite the kids or not? 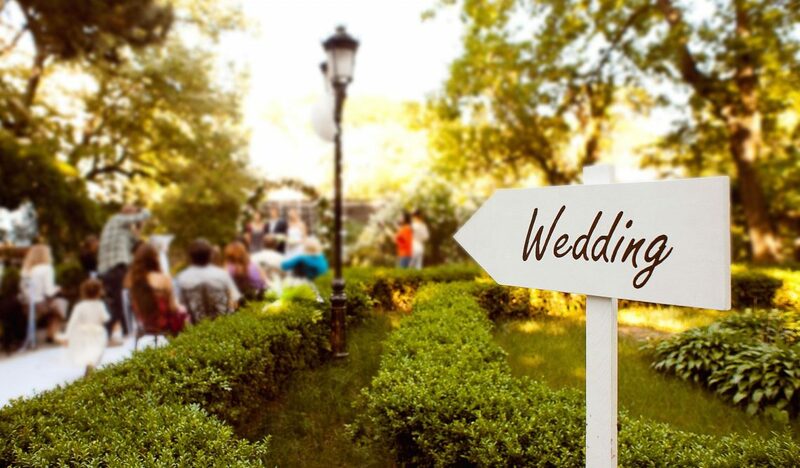 Many brides-to-be’s, grooms, indeed, wedding parties face this very dilemma. But if you absolutely want children to come along to your celebration how exactly do you do keep them occupied? It is important to realise that certain parts of the day will be long and tedious for little ones. The last thing you need is for kids to be running amok while serious vows are being exchanged, or a toast is being offered. Of course, you want to keep children occupied not just for those reasons but because you want them to have fun too. Children will get a huge kick if you provide them with their own entertainment. This can be in the form of hiring someone such as a clown or a children’s puppeteer with their own show. There’s also the standard stuff like face painting; all you need is a couple of adults and the face paints and you have a cheap way of keeping them quiet. Hire a balloon-making expert to go around and make balloon animals for the kids. Get recommendations for entertainers from parents. Set up an area away from the main stage or celebrations and designate this a kid’s only zone’. You can cordon it off with barriers or tents, or segregate them into a corner of a marquee or under a gazebo. Always make sure that this area is situated close enough to the main action. This is so that adults can keep their eyes on their kids. If the area is much further away then employ someone to look after them. Once you have settled them down in their special area then you can bring out painting or colouring books. Make a big deal about serving mini versions of the main menu. Let them organise a tea party of their own or have a couple of wedding staff wait on them. If you have a particularly sporty bunch of children that are full of energy then opt for a sports day. Organise a range of tiring games, from running around the main gardens, board games or even puzzles and jigsaws. You can go to your local charity shops for inspiration where there are affordable games. At the end of the day have prizes for different categories. Charity shops are also a great place to get inexpensive clothes and accessories. Buy a few bits and bobs and put them all in a huge hamper. Let the children sort through it, with dressing up as characters their main goal. They can even put on a little show if they are so inclined. Designate a couple of older children to help and leave them to it. If you give children an opportunity to be messy and creative they will grab it with both hands. All you need to do is to provide them with large trestle tables and paper and paints, crayons or pencils. You can even give them magazines and safety scissors and let them make up collages and pictures. By and large, children have much lower boredom thresholds and get grumpy when they are hungry. Make sure they are well fed and watered and have something interesting to do. If all else fails and you are determined you want to have children at weddings then hire a professional child-minder.